Manchester United performed a footballing miracle against Paris Saint Germain last night. Ole Gunnar Solskjaer was without 9 first-team players for the game due to injuries and also missed Paul Pogba through suspension. But that didn't dent his side's belief of doing the unthinkable. 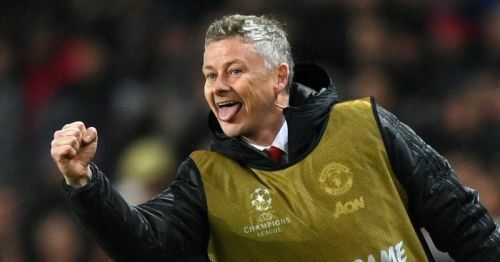 The Red Devils made history by becoming the first side to progress having lost by 2 or more goals at home in the first leg of a knockout match in the Champions League. Ole Gunnar Solksjaer's men were gifted a goal by PSG in the 2nd minute of the game when Thilo Kehrer misplaced a back pass and Lukaku punished him for that, putting the ball into the net after taking it past Gigi Buffon. PSG then came back into the game and forced Manchester United into defending for their lives. But they couldn't sustain the pressure for much longer and Kylian Mbappe's low cross to the far post was finished by Bernat. However, another mistake at PSG's defense helped United to restore their lead when Buffon spilled a shot by Marcus Rashford and Lukaku was the first to get to it, finishing the ball past the former Juventus captain with aplomb. PSG attacked aggressively in the second half but the resilient Manchester United defense did not let them get past them. Kylian Mbappe had the best opportunity to kill the game at the 80th-minute mark when he came 1-on-1 with David De Gea but lost his footing at the final moment. The most controversial decision came in the 90th minute when a penalty was given in Manchester United's favor after Diogo Dalot's shot hit Kimpembe's hand. After consulting the VAR, the penalty was given which seemed a bit harsh on PSG as the ball hit the back side of Kimpembe and there was no deliberate attempt to block the ball. 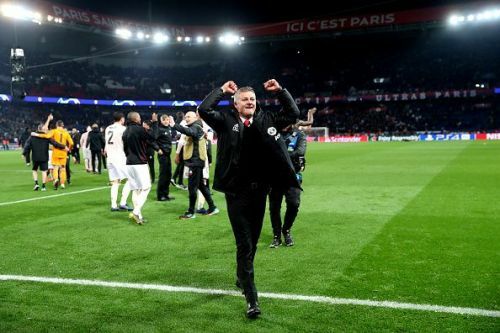 When Manchester United drew PSG in the Champions League back in December, they were expected to be thrown out of the park by them. And yesterday, Manchester United knocked out PSG in the most dramatic way possible. This Manchester United side looks reminiscent of the Manchester United sides of the old under Ole Gunnar Solskjaer. The Red Devils have won 9 out of their 9 games on their roads and played the likes of Tottenham, Arsenal, Chelsea, and PSG. There is no doubt that the job is his. It will be interesting to see if they give it to him now or at the end of the season. And if the Manchester United hierarchy denies him the job after what he did yesterday, they should be ready to experience the wrath of 600 million Manchester United supporters across the globe.